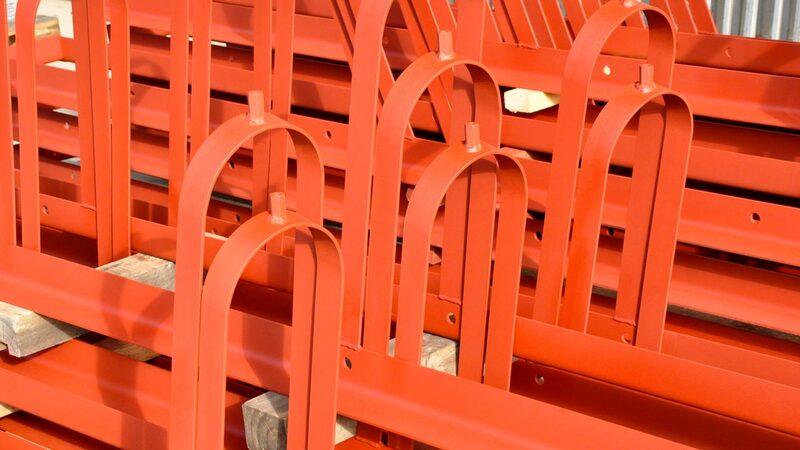 Many industries around Australia require precision metal bending services for a vast range of purposes. This is where sourcing a company that uses specialised bending machinery along with experienced and highly skilled tradespeople can be crucial. Regardless of the intended application, the team at Kenro are able to assist with your specific requirements. They are able to work with most materials and create specific solutions to suit a variety of individual purposes. For the majority of industries that require this type of high quality precision metal bending, accuracy is of the utmost importance. This is usually because individual components are required as part of a larger product, so the angles, folds and bends created in metal need to be precisely correct. Kenro’s existing client base comes from a vast range of industries across Australia. These include industries such as automotive, mining, agriculture, construction, rail, and security fencing. The team at Kenro provides professional metal bending services that can apply to a range of materials, including steel, aluminium and galvabond sheet metal, among others. Pipe bending requires special equipment to create the finished product to exact specification. This is why Kenro uses quality systems that let them monitor each component being manufactured to ensure accuracy at all times. Working with sheet, plate, pipe or bar, the team at Kenro are able to produce clean, accurate bends every time. Cutting and punching any type of metal is a specialty at Kenro, especially with access to a broad range of equipment suited to these needs. This allows them to cut and punch a range of sections with complete accuracy to suit the end application. They also offer a unique system that is capable of shearing flat bar components with a radius end – completely free from sharp corners. Kenro provides high-quality welding and metal fabrication services. The facility is designed to handle large fabrications equally as well as tackling small fabrications, no matter whether the specifications provided are simple or extremely complex. Kenro has the facilities, tooling and equipment to manufacture specific metal components based on any exact specifications supplied to them. Along with manufacturing various precision components, Kenro is also proficient in sheet metal work, as well as offering cost-effective metal laser cutting, welding and metal fabrication and welding services, pressing and stamping services, cutting and punching. Additionally, Kenro is also able to complete the manufacture of components to include galvanising, powder-coating, electroplating, protective coatings, or even painting, if these services are required. The team at Kenro are constantly working to update and maintain the highest possible level of training and skill-sets. This allows their qualified team to create components that are always of the highest possible quality at the best possible price. Wherever possible, the team at Kenro strive to provide the best possible solutions at the most cost effective prices across Australia. Call and request an obligation-free quote for your precision metal bending projects. Their team will happily discuss your project requirements and suggest solutions that are designed to meet your exact needs.